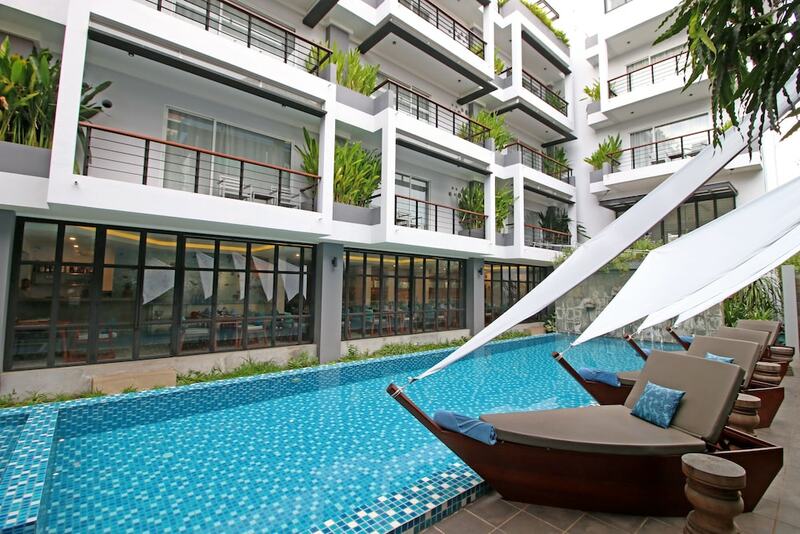 The best hotels near Riverside Siem Reap cater to those looking to enjoy a relaxing holiday in this historical town. Located along the east side of Siem Reap River, this area features plenty of colonial buildings, high-end restaurants and riverfront bars, as well as notable landmarks such as Wat Damnak (a royal palace during River King Sisowath’s reign), Siem Reap Art Center, and Wat Bo Pagoda. The Old Market Bridge connects downtown Siem Reap to Riverside Siem Reap, offering easy access to the iconic Pub Street, Angkor Night Market, and Charles de Gaulle Boulevard. 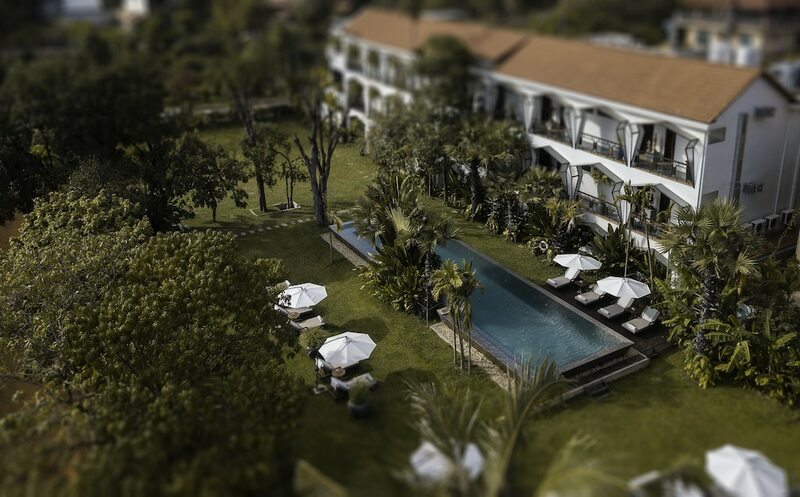 Siem Reap Riverside hotels comprises mid-range boutique hotels, villas and guesthouses with spacious guestrooms, excellent service and facilities, as well as onsite restaurants serving a wide range of Khmer, Asian and western fare. 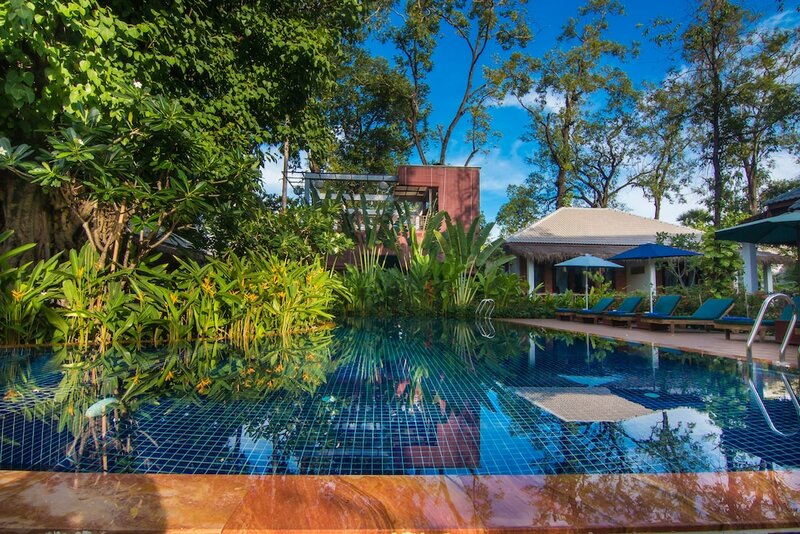 Read on to find a Siem Reap Riverside hotel that best suits your budget and preference. The city of Siem Reap has an exceptional range of accommodation options, from budget hostels and guesthouses to luxury hotels and resorts. When it comes to picking where to stay, you can narrow your search by filtering for your preference of location, style and budget, among other factors. 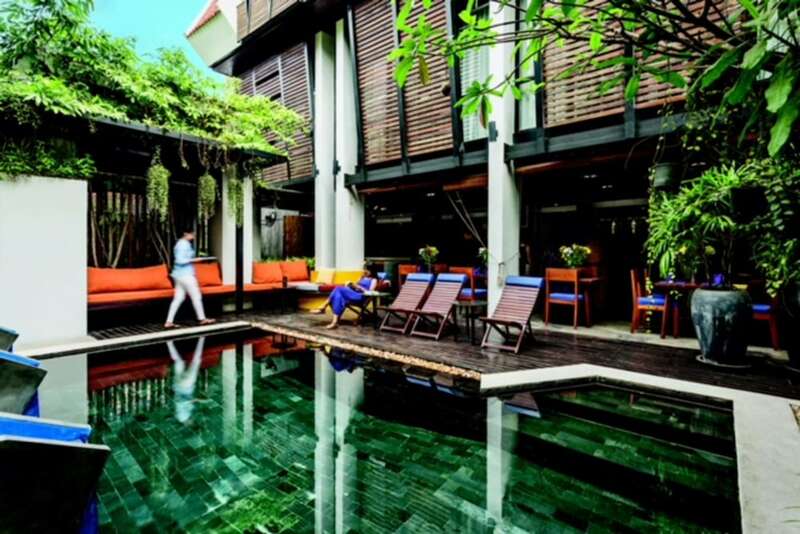 Check out our Top 10 Hotels in Siem Reap page, which is a great place to start as it gives you an idea of the best that the city can offer.